Did you know that there is an I.R.S. penalty for lack of accuracy? Home » Articles » Domestic Tax Law » Did you know that there is an I.R.S. penalty for lack of accuracy? According to the I.R.S., our country is based on a voluntary system of compliance. This means that each citizen (taxpayer) reports their income freely and voluntarily. The tax liability is calculated, and the tax return is hopefully filed on a timely basis. The system is voluntary. Taxpayers are free to arrange their financial affairs in a manner that allows them to best take advantage of tax incentives made available through legislation. Voluntary does not mean that citizens are voluntarily paying tax, nor does it mean that the tax laws don’t apply. Voluntary means you can minimize your taxes by taking advantage of various exemptions, deductions and tax credits. Voluntary also means that you must tell the IRS what your tax liability is. And the only way to do that is to file a tax return. You will get a TAX BILL. This tax bill will contain tax penalties and interest. If these mistakes were not deliberate or fraudulent, you will be served with an accuracy related penalty. The two most common accuracy related penalties are: the “substantial understatement” penalty and the “negligence or disregard of the rules or regulations” penalty. These penalties are calculated as a flat 20 percent of the net understatement of tax. You understate your tax if the tax shown on your return is less than the correct tax. The understatement is substantial if it is more than the larger of 10 percent of the correct tax or $5,000 for individuals. For corporations, the understatement is considered substantial if the tax shown on your return exceeds the lesser of 10 percent (or if greater, $10,000) or $10,000,000. failure to make a reasonable attempt to comply with the internal revenue laws. 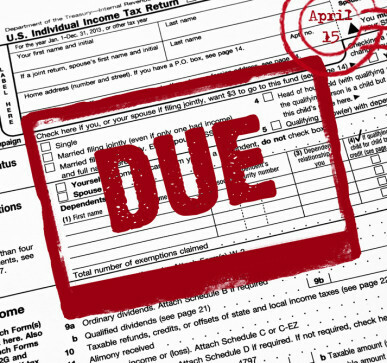 failure to exercise ordinary and reasonable care in preparation of a tax return. failure to keep adequate books and records or to substantiate items properly. This penalty may be asserted if you carelessly, recklessly or intentionally disregard IRS rules and regulations — by taking a position on your return with little or no effort to determine whether the position is correct or knowingly taking a position that is incorrect. You will not have to pay a negligence penalty if there was a reasonable cause for a position you took and you acted in good faith. However, if there is any underpayment of tax on your return due to fraud, a penalty of 75% (Civil Fraud penalty) of the underpayment due to fraud will be added to your tax. The fraud penalty on a joint return does not apply to a spouse unless some part of the underpayment is due to the fraud of that spouse. If there is strong evidence of fraud, an I.R.S. examiner will refer the case to the Internal Revenue Service Criminal Investigation Division for possible criminal prosecution. Good record keeping is the best way to prevent a potential big problem. The responsibility to prove entries, deductions, and statements made on your tax returns is known as the burden of proof. You must be able to prove (substantiate) certain elements of expenses to deduct them. Generally, taxpayers meet their burden of proof by having the information and receipts (where needed) for the expenses. You should keep adequate records to prove your expenses, or have sufficient evidence that will support your own statement. Stanley I. Foodman is CEO of Foodman CPAs & Advisors in Miami, Florida and a recognized forensic accountant and litigation support practitioner. Specializing in complex domestic and international tax matters, he has served as an expert witness and forensic accountant for some of the nation’s most challenging, high-profile economic crime cases. He and his team of accountants also assist clients with a full range of accounting matters including compliance, voluntary disclosure, corporate and individual taxation, family law litigation, estate and trust tax and wealth planning. Consistently ranked as one of the top accounting firms in South Florida, Foodman CPAs & Advisors assists clients locally, nationally and internationally.